Leopard print just can’t be escaped right now, and we have to say that we are loving this ferocious street style take over. 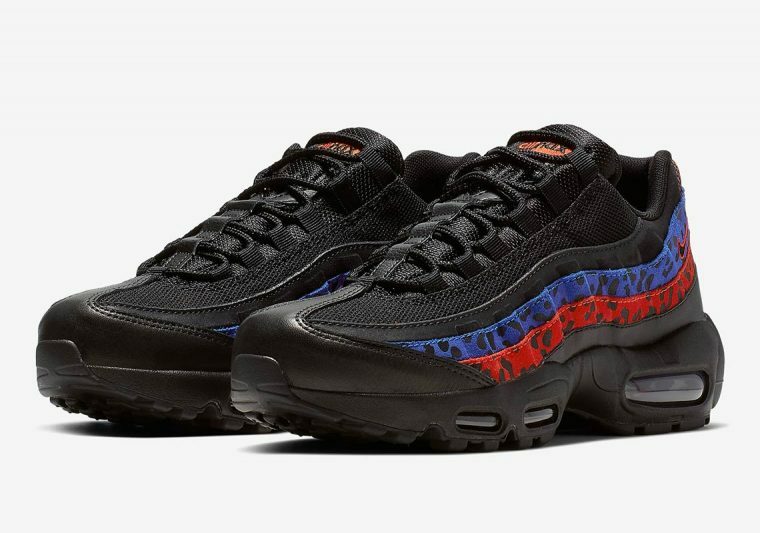 The Air Max 95 was recently included as part of Nike’s Big Cat inspired pack, joining the Air Force 1 Sage Low and the Air Max 98 in endorsing the trend that first started prowling the catwalks in the ’90s. 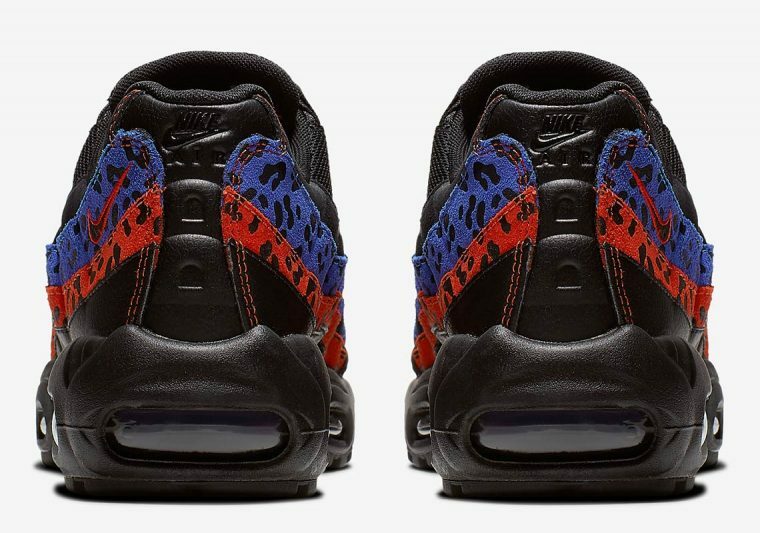 Following the overwhelming success of this collection, the AM 95 is set to receive yet another fierce makeover. 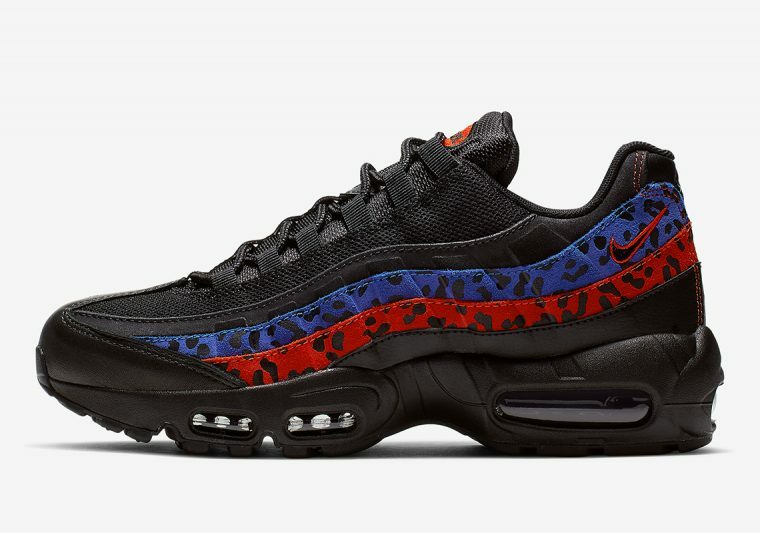 Proving that a Leopard actually can change its spots, Nike’s signature sneaker arrives in black in this release, with the feline’s signature prints painted in fiery red and electric blue suede for a bold twist. This colourful aesthetic is reflected throughout, as red stitching adds contrast at the heel, while Nike’s classic logos are painted in the same striking hue. A chunky black midsole with matching Air bubbles completes the look under foot, tying the shoe together perfectly. 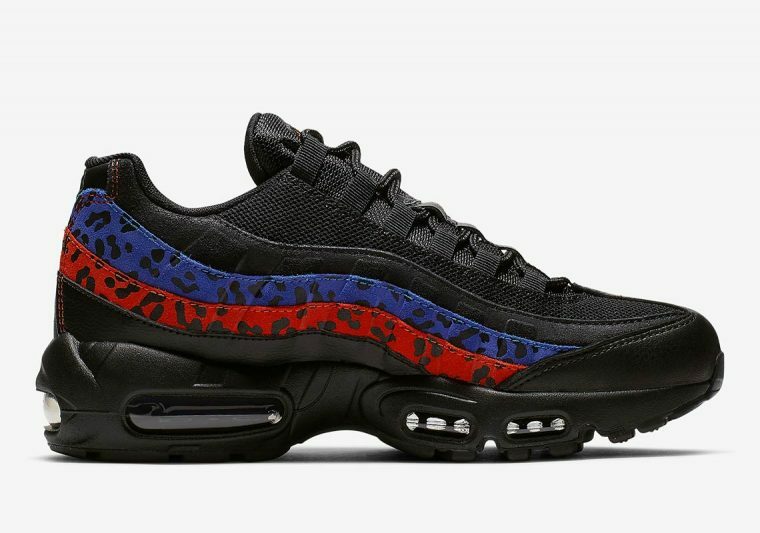 Offering a rebellious interpretation of the animal print trend, this Air Max 95 design will be releasing soon, so be sure to stay tuned for more updates ahead of the launch!